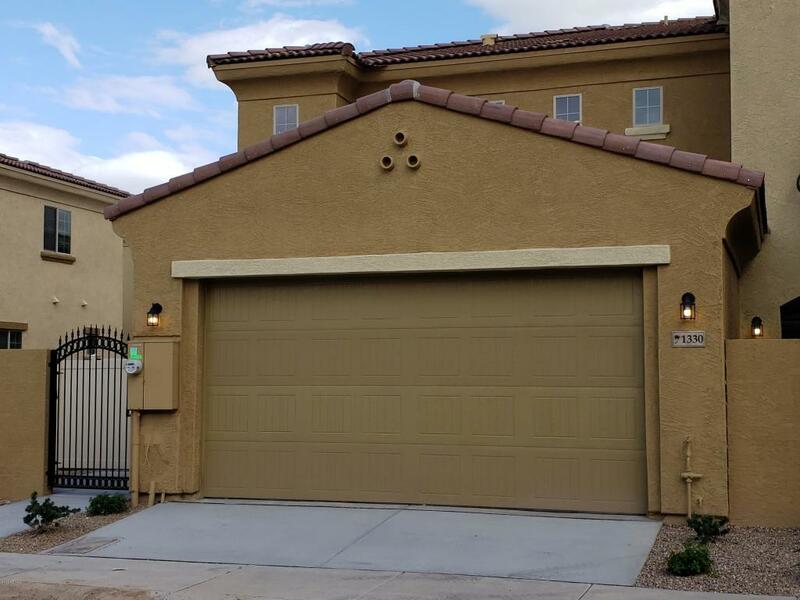 Immediate Move-in to a BRAND NEW, Energy Efficient Townhome that is close to the Light Rail, Buses, US 60 Frwy, Loop 202 & 101, Restaurants, and Shopping. One of the largest Side Yards in the subdivision, this newly built 1,560 sq foot, 3 Bedroom, 2 Bath Home has it all! Granite Counters, Custom Cabinets, Custom Paint, Stainless Appliances, Microwave, Washer & Dryer, and Spacious Master Bedroom. This stunning Resort-like Community features (2) 25 Meter Heated Pools, Heated Spa, and a 7,000+ sq. ft. Club House with beautiful Gourmet Kitchen, Fitness Center, Billiards Room, Fireplace, & Movie Theater. A can't miss opportunity to live in Luxury. Park your car in an easy access 2 Car Garage, and Relax in Your new place called HOME! !